An outfit when worn according to the face and body shape makes you look more sophisticated and classic. Just like women choose outfits according to body types, men should also choose T-shirts according to their face type. T-shirt collars are something that men usually do not care about but it does make you stand out. A collar helps in framing the face and accentuates the features of the man. Today I am going to tell you how you can choose T-shirts according to your face type. Here are the varieties of T-shirts to choose from. A round face needs a collar that would make the face look visually longer especially the neck. A polo neck T-shirt will make the round face look more defined. The neck looks visibly longer and de emphasizes the roundness of the face. A point collar or button down collar would look fabulous on men with round face. Make sure you stay away from wide spread collars. 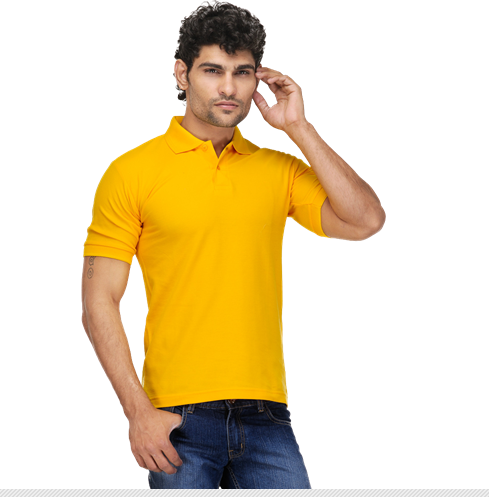 Here are T shirts with polo neck that look stylish and trendy on men with round face. Pair it with jeans and sneakers to rock the casual look. Men with angular face need outfits that soften their hard edges and de emphasize elongated appearance. Wide spread or medium spread T-shirt collar would look great on angular face. It makes face look fuller and jaw line more defined. 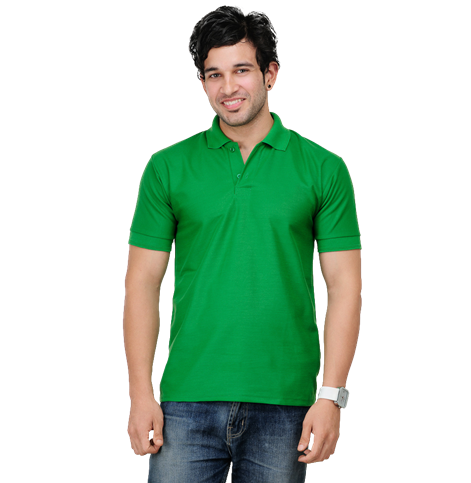 Here is an exquisite polo cotton T-shirt with wide spread collar. It would look perfect on men with angular face. To get perfect casual look, wear it with jeans and sneakers. Oval face is the kind of face that all men crave for. An oval face is neither very long nor extraordinarily angular. Almost all collars look awesome on such face types. Medium spread collar, wide spread collar and button down collar will complement oval face. 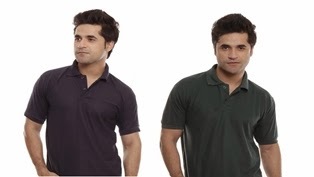 Here is a trendy classic medium spread collar T-shirt that makes oval face look more defined. It is made of cotton and has half sleeves. It gives sporty look and is ideal for summer. It will look superb with jeans or shorts and sports shoes. Men with long face need collars that would make their face look less thin. These kind of collars also even out the look of the face. Use a spread collar T-shirt to balance the small jaw line and sunken cheeks. 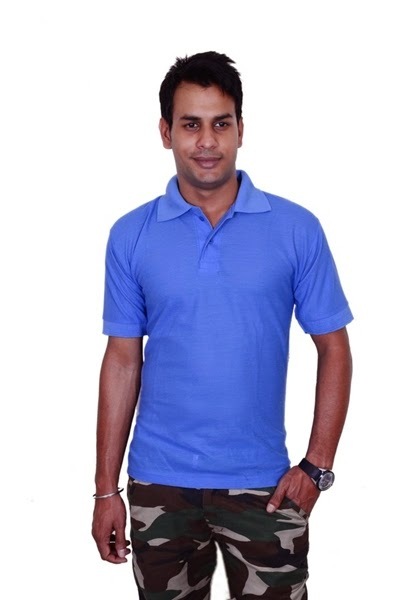 Here is a light blue polo T-shirt with wide spread neck that makes long face look wider and defined. The T-shirt is made from poly cotton fabric and has a regular fit. It will look great with jeans and sneakers. I hope this article will help you in choosing right T-shirt making you look smart and dashing and accentuate your features. Choosing a right T-shirt collar according to the right face type will definitely bring out the best in each other.